ROME, January 29. /TASS/. 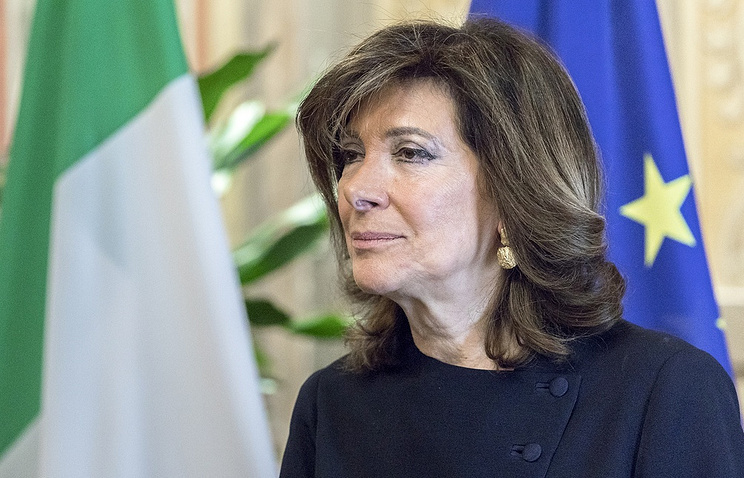 The current system of sanctions and counter-sanctions between Russia and the European Union, which affects Italy among others, must become a thing of the past, Italian Senate President Maria Elisabetta Alberti Casellati said in an interview with TASS ahead of her first official visit to Russia. "Of course, there is an opinion among the different political forces in Italy that constructive relations are necessary between the European Union and the North Atlantic Alliance on the one hand, and the Russian Federation on the other," she said. "It is necessary to create conditions - and both sides should work on it - so that the current system of sanctions and countersanctions can be overcome," said Casellati, who is second to the president in the state hierarchy of the country. She believes that parliamentary diplomacy can make a major contribution to already efficient relations between Italy and Russia. "We live in parts of the globe that necessitate closer contacts and cooperation with each other," the top legislator said. "It is through this dialogue that we can contribute to the settlement of the problems existing inside our countries and at the intergovernmental level. The essence of my visit is to confirm that relations between our peoples and our institutions should never ever be severed," she stressed. Casellati also sees relations between people as very important in domestic and international policy, as they "create the best preconditions that help create decisions for different problems". "It is very interesting for me to get acquainted with Mrs. Matviyenko," she stressed. "Women bring ingenuity to politics since they have a very clear understanding of reality and can develop efficient projects," the Italian politician added. Her visit includes meetings with Federation Council (upper house) Speaker Valentina Matviyenko, State Duma (lower house) Speaker Vyacheslav Volodin. She will also address a plenary session of the Federation Council and will take part in cultural events. In particular, the president of the Italian Senate will unveil an exhibition of Italian artwork from the first half of the 17th century at the Pushkin Museum of Fine Arts.